Long after the program ends, students still reap the rewards of their service learning experience. Jiyoon Chon, A21, thought she knew what her track was going to be. She was going to work hard to make sure she got the best grades so she could start on a path to a top career that would give her financial stability. Now, she’s not so sure. She has different priorities. It’s one of the ways she’s changed after doing the Tufts 1+4 Bridge-Year Service Learning Program, which is having an impact on its participants years after they’ve completed it and returned to campus. First launched in the summer of 2016, Tisch College started the 1+4 program in order to bridge students’ high school and college experiences with a full year of community service and self-discovery before starting their first year at Tufts. The first two groups of students who have finished their bridge year are now on campus enjoying its benefits—and realizing that the advantages are only beginning. While the real-time perks of spending nine months doing a service year before college are numerous, the advantages are the benefits of the bridge year even after it’s over are less readily apparent. 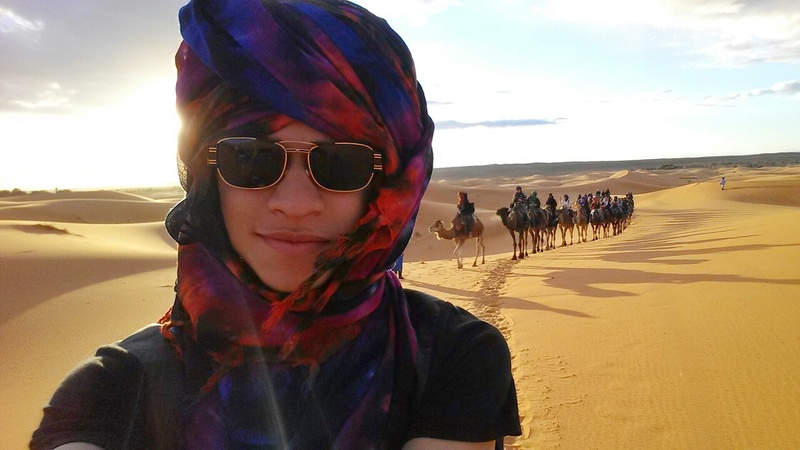 The experiences of three 1+4 alumni, first-years Mikel Quintana and Jiyoon Chon and sophomore Justin Mejía, are testimonies that their gap years significantly aided their transitions into college. Because of their time away, these program alumni are more sure of themselves, less stressed, and more prepared to take the college experience in stride. Adjusting to college can be difficult, and the stresses of making friends and acclimating to a college schedule are overwhelming for even the steadiest high school graduate. But students who have completed the 1+4 program come into college feeling a lot more confident, with stronger social skills and a slew of 1+4 friends they gained abroad. 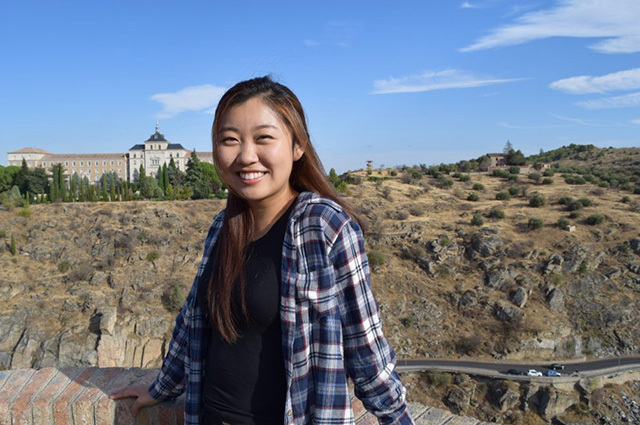 After spending so much time with her 1+4 classmates in Spain, Jiyoon says she already had a support system at Tufts, and friends she could rely on during the turbulent first weeks of freshman year. Beyond social confidence, however, these students also feel higher competence in their organizational skills, something that many first-semester students acutely struggle to master. Mikel Quintana, A21, a first-year studying globalization, reflected that having an irregular schedule forced him to learn positive study habits. “During most days, I had the whole morning free, so I had to think about organizing my time. You have to do a lot of time management in college as opposed to high school. Having an unorthodox schedule definitely helped me be more comfortable with organizing my day.” Socially and academically, these students are feeling more confident in their ability to navigate the college craze. Jiyoon also feels more open to potential future careers, because the perspectives she gleaned from her bridge year freed her to search for jobs she wants, not necessarily just those that will provide her the most material gains. “It opened my eyes to the fact that I should try to find something that makes me happy and that I’m really passionate about, rather than going with what I think is best for me in terms of financial security and what my parents want.” She’s also passionate about finding something that gives back. After spending so much time in service with kids, Jiyoon is now considering the pre-med track, an option she knows will help her have a positive impact. The 1+4 program has also given its alumni an edge in finding and embracing different experiences and opportunities at Tufts. Part of that comes from having some institutional know-how after spending a full year immersed in a Tisch College program. When they return to campus, 1+4 alumni receive a lot of support: they focus on reintegration together through a returning student retreat; meet for monthly meetings; and receive help on advising, course selection, and the internship search. The Tisch College staff makes sure that students are aware of resources and opportunities that can help build on their service-year experience. For example, through his connection to Tisch College, Justin learned about the Tisch Summer Fellowship in India and an Ex-College class and trip to Rwanda, which he is now coordinating this year. Having an already established group of friends also opens doors. Jiyoon credits her fellow 1+4 alumni for exposing her to activities and extracurriculars she never would have tried. Mikel has met Spanish exchange students and made friends with older 1+4 alumni he might not otherwise have met. Both Jiyoon and Justin took classes beyond their comfort zone to continue trying new things, and Jiyoon even started studying Mandarin because her roommate speaks it. Jiyoon, Justin, and Mikel are not the only former Tufts 1+4 Fellows capitalizing on the opportunities offered at Tufts. Many other program alumni are leading clubs, coordinating trips, and serving in student government. Two 1+4 first-years joined the TCU Senate this year and others are acting in plays and improv, serving as EMTs, and volunteering with local communities. They are an active bunch. Students accrue all these benefits because the Tufts 1+4 program blends so many attributes and experiences—living in a new community, having a full-time service placement, enjoying the benefits and challenges of independence and opportunities for reflection—that combine to be truly transformative. And that transformation gives them a leg-up in college. Doing the service bridge year through the 1+4 program has produced numerous positive effects on students. From their friends, to their choice of majors, and even career prospects, these students are taking their lessons from their time away and applying them to enhance their everyday life. As more students complete the program and the 1+4 network at Tufts grows, the advantages will continue to multiply. We look forward to seeing what their future has in store.